Bring your family, friends, co-workers and everyone who craves great queso to Moe’s for the ultimate celebration of cheese. Free Queso Day in 9/15! To celebrate this momentous occasion, loyal Moe’s fans will be treated to a free six-ounce cup of Moe’s Famous Queso and complimentary chips at more than 650 participating locations, no purchase necessary. 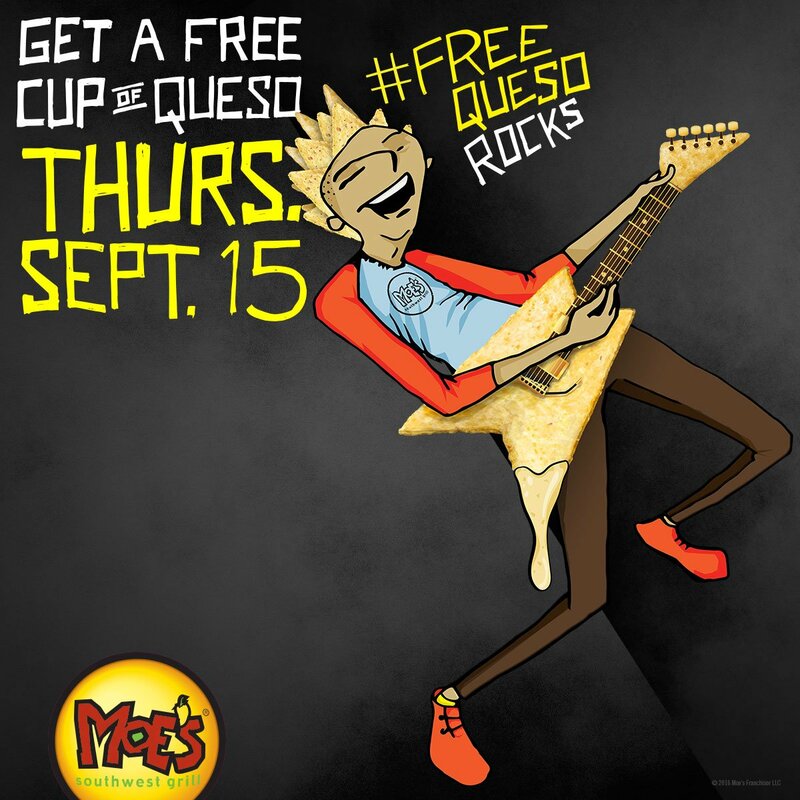 Queso lovers are encouraged to share photos and posts to spread the love for Moe’s Famous Queso using the hashtag #FreeQuesoRocks on their favorite social platforms. Better yet, three lucky fans who use the hashtag will be randomly selected to receive FREE QUESO FOR A YEAR. In addition to free queso, limited edition Free Queso Day t-shirts will be available at select locations. Next post Kids Eat Free At IHOP !!!! !